Kidoozie is where the fun begins. From our proven, award-winning top-sellers to our great, new selections, these high-quality, innovative toys provide years of playtime fun. 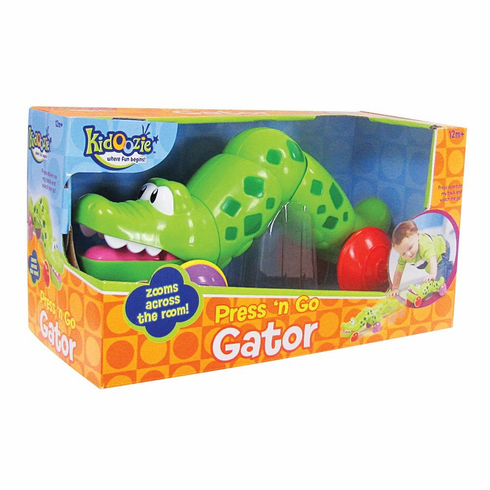 Press down on the Gator's back to see him zoom across the room. Rubberized wheels allow for long distance travel. Great for crawlers or beginning walkers.